Kiefer pierces my circle of empathy, that field we all carry around us that determines who and what we care about. It is not that our work shares a similar sensibility. Hardly. Kiefer is a legend in his own time, and his art goes grand, epic and high concept as dramatically as any artist working today. But the firehose intensity of his presentation to the world doesn’t eliminate some exquisitely subtle, lyrical turns, and it is that particular aspect of his work that has kept me engaged and compelled all these years. The pavilion of his aesthetic is generous, and he makes room for a full array of artistic proclivities—political, historical, postmodern deconstructionistic, cerebral, visceral, dramatic, installationist, even painterly. Come on in, there’s room for everyone at Kieferpalooza. 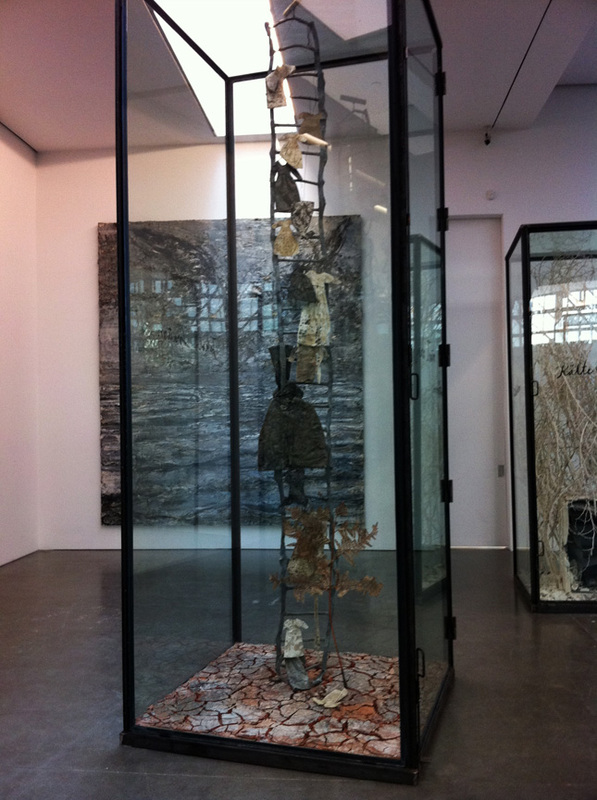 Kiefer’s current exhibit is at Gagosian Gallery in Chelsea and is his first in New York in eight years. The cavernous space holds 25 massive vitrines containing sculptures that are evocative of destruction, dessication, desolation, detritus. On the walls as a contextual frame to the floor pieces are massive Kieferesque one point perspective landscape paintings. The major leitmotifs running through the show are Old Testament narratives and the plague of war (references to WWII, historical and present day Middle East.) The absence of saturated color is a perfect statement of a parched landscape that has been discarded and abandoned to the entropic forces that will eventually break everything down. This scorched earth apocalyptic vision is Kiefer’s signatory style, and no one does it quite like he does. 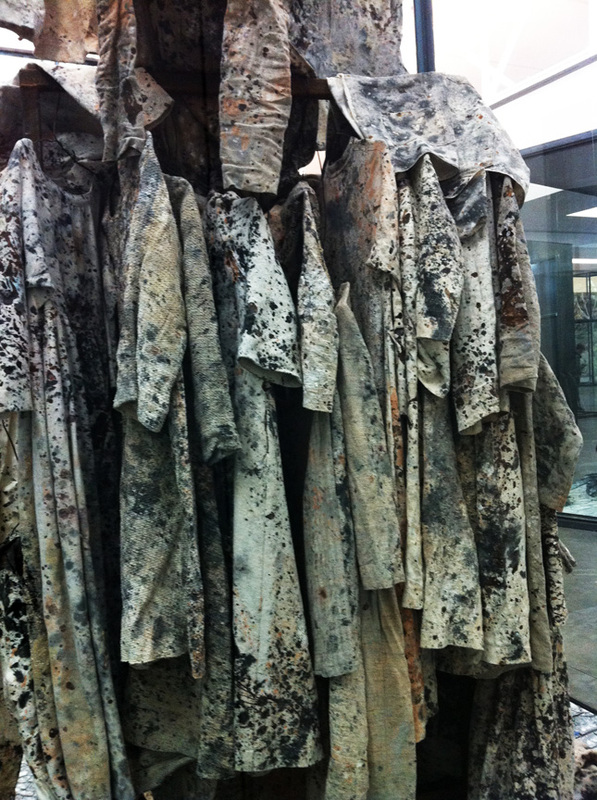 And yet like most Kiefer exhibits, the oversized bleakness is not without some pockets of reprieve and pleasure. His work confronts but it doesn’t empty you out. There is still room to be amazed, to relish in the magnificence and mastery of his mind and eye. His material handling is breathtaking, a lineage that can be traced to his mentor from a previous generation, Joseph Beuys. No one else makes lead sheets appear rubbery and supple, or move from found to fabricated objects so seamlessly. 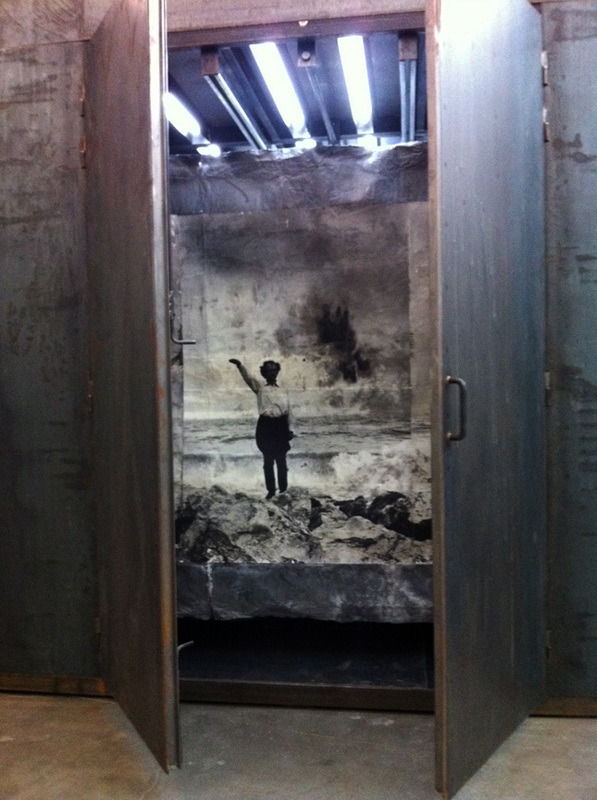 The German artist Anselm Kiefer knows how to put on a show. The dour and dusty copse of art with which he has forested the vast Gagosian Gallery in Chelsea may elicit awe, skepticism or disdain — or perhaps a conflicted combination of all three. But its initial power is hard to deny…To wander among these works is to participate in a performance piece of the artist’s devising. The sheer density of the installation gives it an almost interactive, relational-aesthetics quality. As we gawk, peer and crane, decipher the titles and mull over the allusions — all the while avoiding collisions with other similarly engaged people — we form a cast of extras trapped in some museum of devastation. It’s the dustbin of history expanded into giant prop storage in a theater where death and destruction prevail, but various ancient faiths offer the possibility of redemption. And yet really giving in to the work requires suspending the suspicion that religion and faith are not part of the solution. They are most of the problem. The show (titled Next Year in Jerusalem) is up through December 18. Subtleties abound in his work, with attention to extraordinary detail. The clothes of Lilith’s children, mottled and lushly textured. I would love to see this show. I was bowled over this spring by one of his paintings at the Virginia Museum of Fine Arts. It’s his “Landscape with Wing”, with oil, straw, and lead on canvas. People were walking by and commenting on its “heaviness” and “Germanness” and unrelieved blackness. It did look like “scorched earth” but to sit with it was to imagine something new arising from the ash. And the promise was in that single wing that riveted the attention. Thank you for your wonderful writing about Anselm Kiefer. Nice post about Kiefer, thank you. On youtube are some interesting video´s about him. 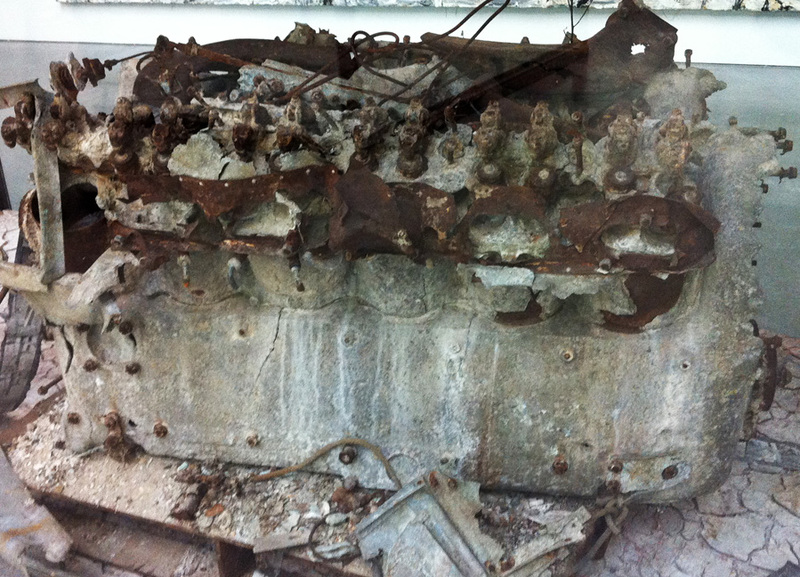 Thanks for the link–I enjoyed your view on Kiefer as well. Thanks for stopping by.